One song in. Three stems out. Smarter, Faster, Cleaner Stems. Same Low Price. 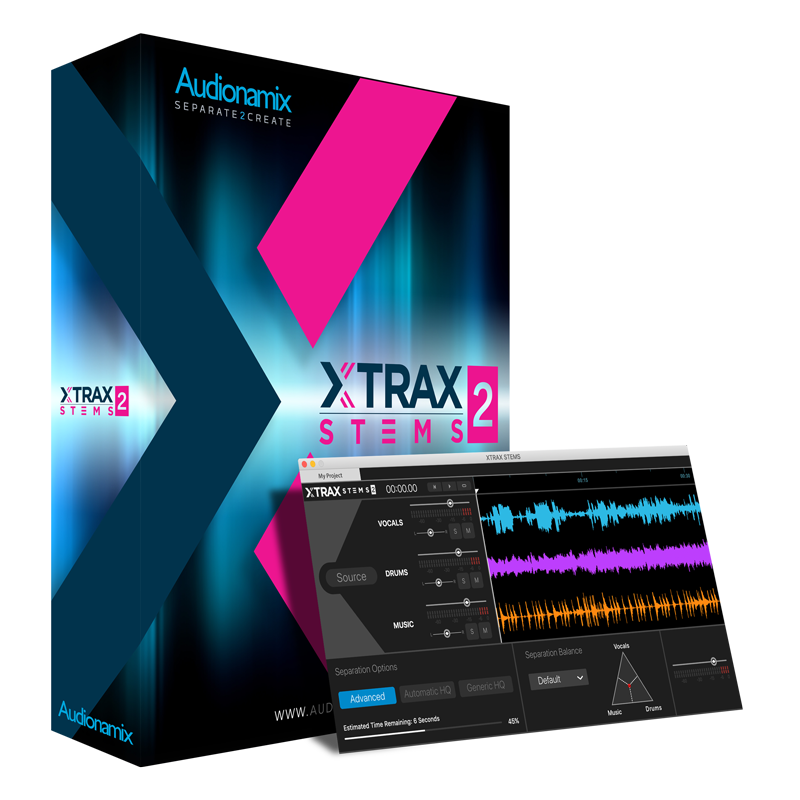 Powered by brand new algorithms based on artificial intelligence, XTRAX STEMS 2 offers faster, cleaner stem separations, backing tracks and a cappellas at the same low price. Created for DJs, music producers and remix artists, XTRAX STEMS allows users to separate any song into its vocal, drum, and remaining music components for easy sampling, remixing and unmatched control during live sets. Already own XTRAX STEMS 1? Head to your account page for the free update.